This Lego version of an Apple II+ is perfect. It has the lovely aged hue of beige, clear bricks for the Apple Monitor II, floppy disk drives with the right sticker and even a removable top on the computer to see the Lego computer's guts! 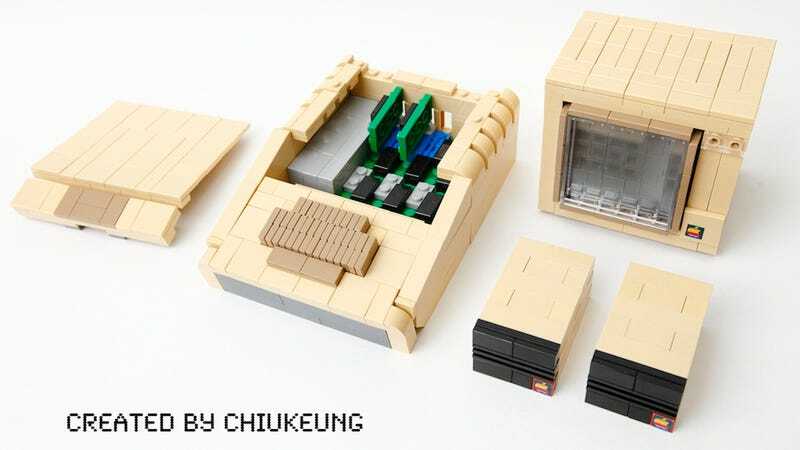 Made by Chiu-Kueng Tsang, a wizard with his Lego creations, the Lego version of the Apple II+ should bring back memories for anyone who ever had one and appreciation for those who were too young to ever buy one. I think Lego should make a computer. I would totally use it.